Life has been so hectic here this week that I just haven’t had the time to post anything at all! Unfortunately not much creating has been happening here this week either, so I am going to share cards that I made to do at the demonstration I had last Saturday. 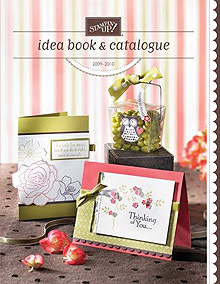 This card uses the Cheers to You stamp set, which is another one of my favourites. I used the Aqua Painters to colour in the beer mugs, and a Blender Pen with Bordering Blue ink around the beer mugs to give them a bit more definition. The Happy Father’s Day sentiment comes from the Occasional Greetings stamp set, which has a bit of everything in it. This card looks fantastic even without the Happy Father’s Day sentiment on it, and is what most of the ladies did when they made it at the demonstration. I loved the card so much I thought a “girly” version was in order! It would make a cool birthday card! I covered the drinks in Crystal Effects and added a bit of Dazzling Diamonds to finish it off, and it looks fantastic! I will be making a few of these cards to send to my son’s school for their Father’s day stall, and Very Special Kids to sell at their fair in November. Stamp Sets: Cheers to You, Occasional Greetings. Cardstock: Whisper White, Bashful Blue, Pacific Point, Apricot Appeal, Chocolate Chip, Good Morning Sunshine Designer Series Paper. Inks: Jet Black Staz On, Bordering Blue Classic Stampin’ Pad, Apricot Appeal Classic Stampin Pad, Pacific Point Classic Stampin’ Pad, Real Red Stampin’ Write Marker. Accessories: White Gel Pen, Dimensionals, Blender Pens, Aqua Painters, Mini Glue Dots, 1/4″ Chocolate Chip Grosgrain Ribbon, 1/4″ Bashful Blue Grosgrain Ribbon, Powder Pals, Crystal Effects, Dazzling Diamonds, 1″ Circle Punch, 1 1/4″ Circle Punch, 1 3/8″ Circle Punch, Cropadile. This entry was posted on Sunday, August 16th, 2009 at 5:24 pm and is filed under Cheers to You, Male, Stampin' Up, SU, Watercolouring. You can follow any responses to this entry through the RSS 2.0 feed. You can leave a response, or trackback from your own site.